Tasty and organic, these dried apricots are a great and healthy snack, as well as a zippy addition to stuffings, desserts, and pies. Made without preservatives, and 100% organic, they might even be called nature's perfect food! Good for Vitamins A, C, and Potassium. 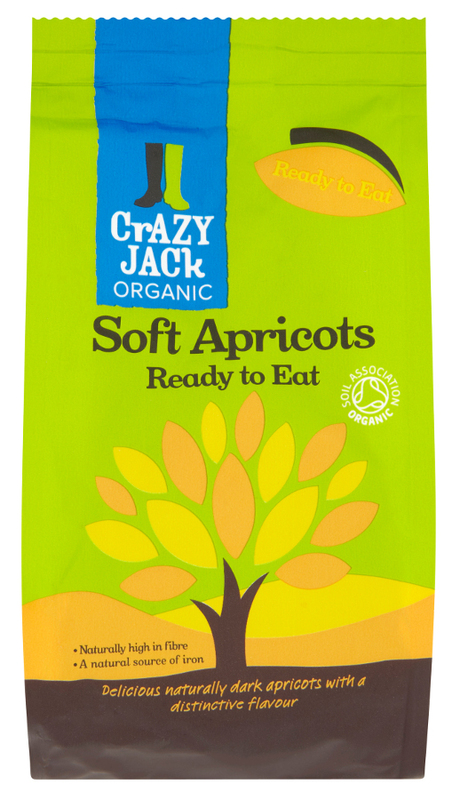 The Crazy Jack's Organic Dried Apricots - 250g product ethics are indicated below. To learn more about these product ethics and to see related products, follow the links below. The tastiest dried apricots Used in cooking, added to cereal, and just out of the packet. 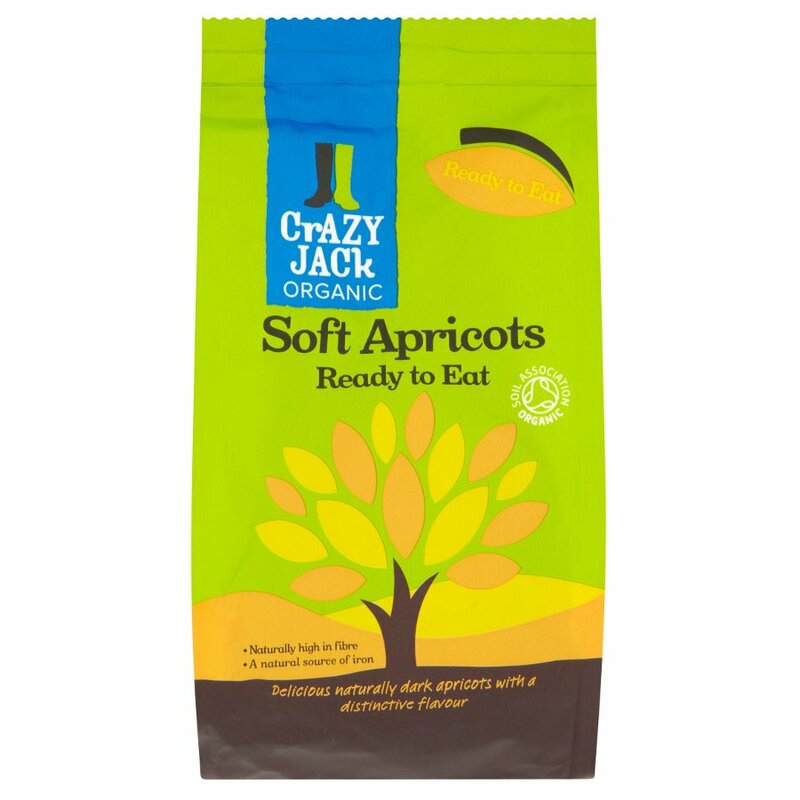 There are currently no questions to display about Crazy Jack's Organic Dried Apricots - 250g. Crazy Jack Organic is a growing range of quality organic food. They have years of experience sourcing and encouraging the development of all things organic, starting with the very first organic dried apricots in the UK and a variety of dried fruits and nuts, now expanding to include other items. Our selection of their range is vegan friendly and Soil Association approved, so you can be certain of their organic credentials when tasting these delicious snacks.